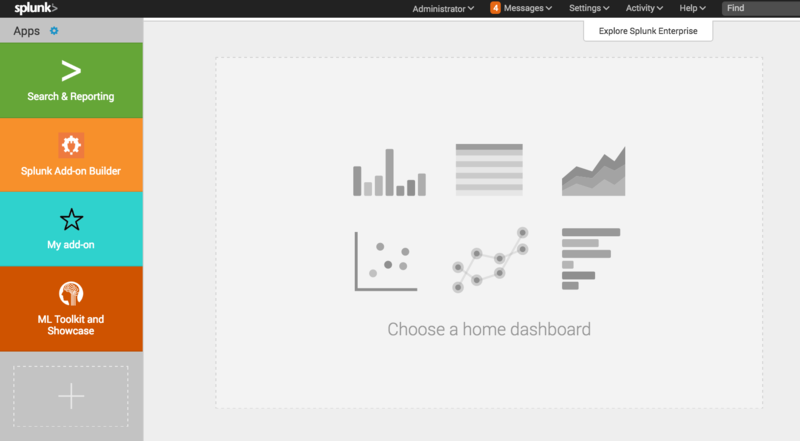 To change the app navigation bar, including the background color, see Add navigation to a Splunk app. The following settings are included in the default app.conf file. For details about other properties you can set, including ones that are required by Splunkbase, see the app.conf specification in the Admin Manual. is_configured A Boolean that indicates whether the user has run the custom setup for your app (1 is true, 0 is false). is_visible A Boolean that indicates whether your app is visible in Splunk Web (1 is true, 0 is false). label The name of your app, which appears in Splunk Web. 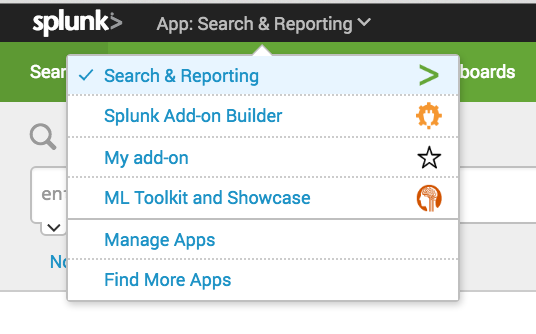 For apps you intend to post to Splunkbase, enter the username of your splunk.com account. description A short description of your app. version A string containing the version of your app, such as "1.0.0" or "2.0beta". For apps you intend to post to Splunkbase, make sure that the version number in app.conf matches the version number on Splunkbase. In a text editor, open $SPLUNK_HOME/etc/apps/your_app_name/default/app.conf. To view your changes, restart Splunk Web or refresh the app (open http://<localhost:port>/debug/refresh URL in your web browser, click Refresh, then reload the dashboard in the browser). To use a build number, add an install stanza to your app.conf file with a build property set to a single integer. Then, each time you release a new version of your app that also changes static assets, increment both the build number and the version number. This process ensures that browsers won't use cached copies of old static files for new versions of your app. If you are using a setup page, which is displayed the first time a user runs your app, specify the setup page by adding a ui stanza to your app.conf file with a setup_view property. By default, when requesting any view from your app, Splunk Enterprise checks the setup_view property in the install stanza to determine whether the app has been configured. If the app is not configured, the setup page is displayed. For more, see Create a setup page for a Splunk app. Create the icon files below, in PNG format, preferrably with 24-bit transparency. Name the icon files as listed below. Filenames are case sensitive. Save icon files to $SPLUNK_HOME/etc/apps/your_app_name/static/. The app icons are listed in the order of precedence used by Splunkbase (the first icon found, in this order, is the one that is used). High resolution displays include MacBookPro with Retina Display.